After being closed for four weeks due to refurbishing, the Ultimate Picture Palace reopens on Friday September 13th. 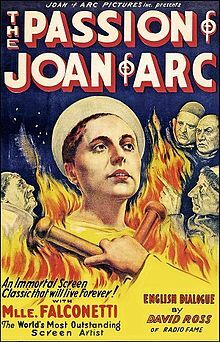 To celebrate the event, composer Roger Eno will perform a live accompaniment to a screening of Carl Theodor Dreyer’s classic silent film The Passion of Joan of Arc (1928). I talked to Roger about the art of silent film accompaniment, his approach to scoring Dreyer’s film, and what the future holds for live music and cinema. Although the practice of performing live musical accompaniments fell out of favour as the sound film asserted its dominance in the late 1920s and early 1930s, it found a niche rediscovery in the final decades of the twentieth century. This revival was in great part prompted by the recreation, composition, or improvisation of scores for silent films for which music had been lost or damaged. One early example is Gillian Anderson’s recreation of Victor Alix’s and Léo Pouget’s score for The Passion of Joan of Arc, a precedent which Eno has chosen not to draw from in his score, preferring to ‘come at films untainted’ by the work of others. Dreyer’s film has proved particularly popular for live musicians, another recent example being a screening at Union Chapel two months ago with a score composed by Irene Buckley and performed by organist James McVinnie. Eno has said that he feels ‘directly connected to the silent movie music tradition,’ and this is reflected in his approach to the score for The Passion of Joan of Arc, which makes use of silent era techniques. For Eno, as for silent era musicians, musical quotations are of great importance to the art of silent film accompaniment, acting ‘both as short hand and a knowing nod between accompanist and audience.’ As was often the case for cinema organists in the silent era working from previously conceived cue books or stock themes, Eno often sketches out themes that serve to act ‘as reminders and points of departure when performing.’ Such quasi-improvisation offers the performer a greater of flexibility and the potential for more dynamic interaction with the visuals. Composing for silent films is, for Eno, a completely different task to composing for sound film; in sound films the music’s role lies in ‘shading the narrative’, while in silent films its role is ‘colouring it in’. There seems to have been somewhat of a silent film resurgence in recent years, most evident in the immense critical and commercial success of French director Michel Hazanavicius’s 2011 film The Artist (along with other films such as last year’s Blancanieves). Eno, a fan of Hazanavicius’s film, suggests that it ‘showed many what peculiar power [silent films] have,’ introducing silent film to a modern audience while proving its accessible, mainstream potential. For Eno, and doubtlessly for others too, the appeal of The Artist and silent films in general is the ‘completely different style of editing and action’ on show compared to those of sound films. Although The Artist included a synchronised soundtrack by Ludovic Bource, it too made use of silent film era music techniques, in particular the use of references to existing films and/or pieces of music. Bource’s score includes an anachronistic allusion to Bernard Herrmann’s love theme from Vertigo (1958), which acts both as a commentary upon the onscreen visuals and as an homage to Hitchcock. Both give examples of the ‘knowing nod’ that Eno mentioned, and exemplify the continuation of certain silent film music practices in sound film a century or so later. Some might argue that the use of live music accompanying modern screenings of silent films risks reducing such screenings to novelties, foregrounding the most obvious divergences from modern (sound) cinema rather than any similarities. In doing so, silent film could seen to – perhaps paradoxically – recede further into the distant past in the minds of audience members. For Eno, however, this novelty value should be relished, not ignored. 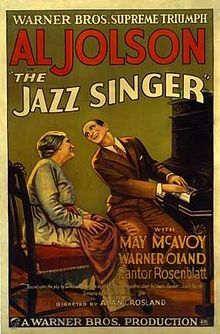 When sound films were introduced, they were deemed novelties, and it was this that led to the phenomenal success of early ‘talkies’ such as The Jazz Singer (1927). Performances of silent films as one-off events might today function in a similar manner, with novelty value bringing audiences in and then encouraging them to explore silent film in greater detail. Eno’s embracing of novelty is well summed up in his plans to tour the country – ‘fishing villages and festivals’ – in a large van, complete with digital screen and upright piano, giving screenings of films with live accompaniments before moving on. Silent films might find it difficult to escape a sense of novelty, but this certainly does not mean that they can be confined to it. This all indicates a growing interest in silent film and its accompanying musical tradition, but is there a place for live musical accompaniment in modern film? For Eno, there isn’t, at least not in Hollywood. ‘Here,’ he says, ‘art and commerce are at variants.’ This is not to say that mainstream films are wholly incapable of artistry, unavoidably tainted by profit-driven Hollywood: art and commerce can coexist. In the case of live musical accompaniment, however, such an endeavour cannot be justified from any commercial standpoint. The cost of hiring live musicians for wide-release modern film screenings would be enough to put off any film production company, let alone additional matters of taste or practicality. Even The Artist – repeatedly referred to and cherished as a ‘silent film’ – occasionally foregrounds sound to great effect, and so the film does not lend itself as easily to live accompaniment as would initially appear. Roger Eno’s performance to The Passion of Joan of Arc takes place at The Ultimate Picture Palace on Friday 13th September. Tickets are £12 (£10 conc.) and are available from the cinema’s website at www.uppcinema.com. For up-to-date cinema listings and to book tickets for any other films currently showing please follow these links: Phoenix Picturehouse; Ultimate Picture Palace; Odeon George St; Odeon Magdalen St. If you know of any film events or showings that you think should be included here in the future then please e-mail J. Wadsworth at theoxfordculturereview@gmail.com.